After much consideration over our dilemma, we have decided not to bring baby J to Batam. Practicality has reigned over emotions as usual. Even my mother smsed me to warn me not to bring her for fear of sea sickness (although babies this age do not have travel sickness). I'm sure you're wondering how I managed to go overseas without my baby while still nursing? And I did it more than once. The first time I did it was when the hubby and I went with a bunch of our churchmates to Phuket, Thailand, just 5 weeks after baby J was born (big mistake though I still managed to pull through). The second was with the hubby to Brunei for his work trip and now to Batam. Ok I supposed this is a given. You need someone you trust to take care of the baby, otherwise you will not leave in peace. And a vacation where you are worrying all the time is not a vacation at all. Mine is from Philips Avent. Highly recommended by me. Treat it well as it is going to be your best friend for the days that you are away. And how often do you pump? The same as if you were at home with baby. 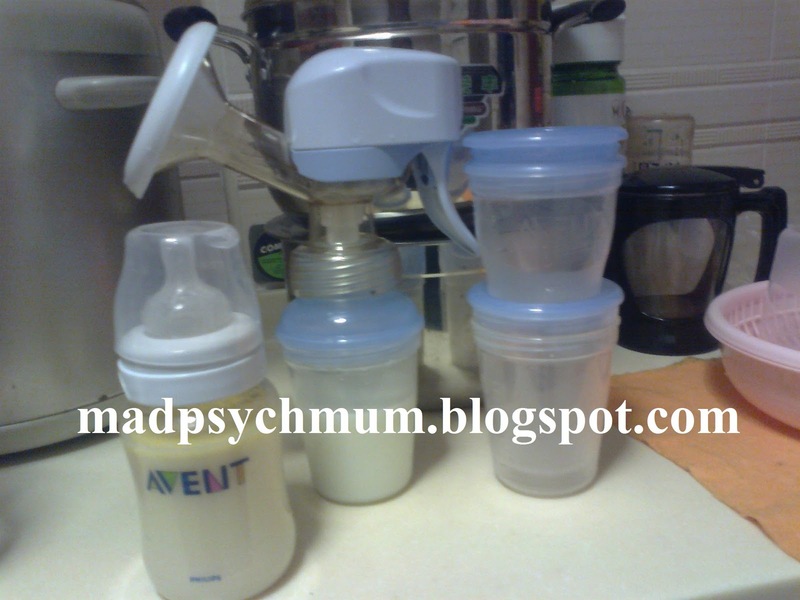 If your baby feeds every 2 hours, you should pump every 2 hours (ideally). Of course when you're overseas, you might not have the luxury of doing that but you should still try not to exceed a maximum of 5-6 hours interval between pumps. If you have a electrical breast pump like mine from Avent, you will have a wall socket that provides electricity directly to your pump motor as well as a battery operated device. The latter is useful when you are not able to find an electrical point to power your pump. Bring both. Don't forget the extra batteries. Instead of lugging bulky plastic storage containers around, buy these compact and easy to use storage bags to store your breastmilk. They take up less space in your luggage making it great for travelling. Before you leave, ensure you have a store of breastmilk ready for your baby so that she still has your milk to drink even when you're not there. In order to store enough milk, you should start pumping extra milk (about 100-200ml depending on your milk supply) everyday at least 4 weeks before you are due to travel. If you don't have enough stored up, you may have to consider allowing your baby to drink formula temporarily. Breastmilk, once expressed, can only last 6 hours at room temperature and 48 hours in the refridgerator. If frozen however, it can last for 3 to 4 months, so you would want to store it in a freezer. Most hotels have bar fridges with a small freezer compartment but call ahead to be sure. You don't want to end up not being able to bring back the precious milk for your baby. Remember that your milk is liquid. It will not be allowed in your hand-carry luggage. Hopefully these tips will help you to travel overseas without baby. It may be troublesome, but it is worth the time spent to relax and most importantly reconnect with that love of your life.